Are you frustrated with losing the pacifiers all the time? We understand it's a nightmare for parents. 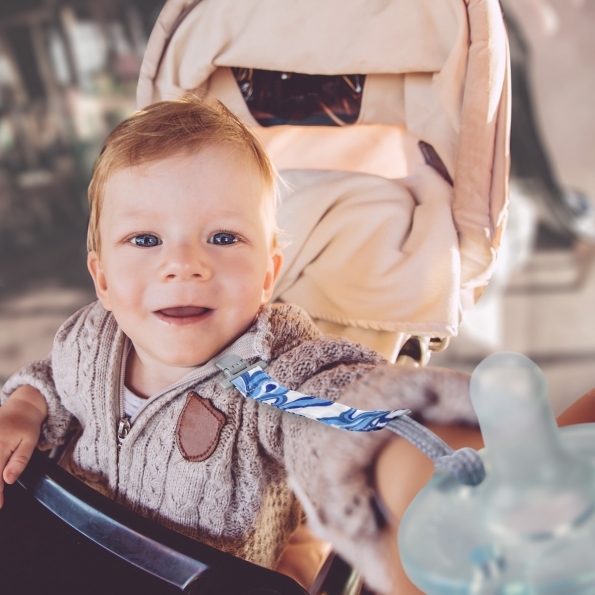 With our Baby Soother Clip, you can keep the pacifier close at hand and will never end up dirty or on the floor anymore! Non-Toxic - BPA Free, LEAD Free, Latex and Phthalate free. Holds tightly and easy to open and close! No sharp edges - can be attached on to clothes without hurting the fabrics. Keep your baby's soother and pacifier close at hand and off the floor with this stylish Soother Clip. The universal loop attachment fits all your favorite brands of pacifiers and even toys or teethers. 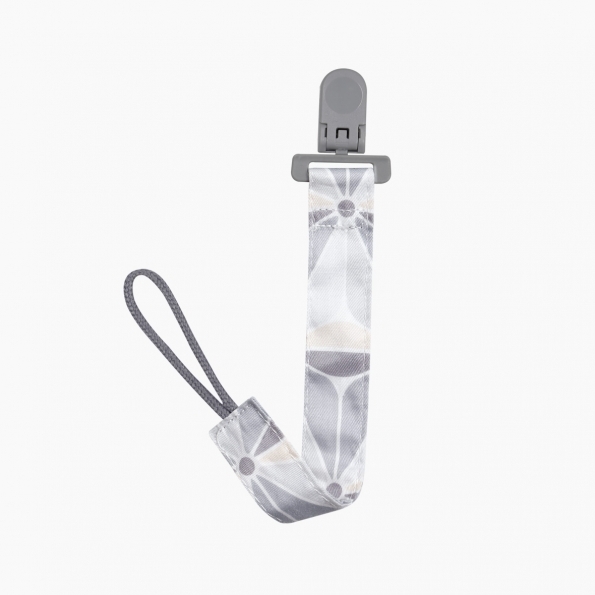 The fabric leash are made from durable material and has a very soft touch. Our plastic clip is made from the highest grade materials and has no sharp edges to prevent the clip from damaging the clothes. It's strong enough to hold against a child's pull but also gentle enough from damaging their clothing. Never lose your precious soothers or having to pick them up from the dirt anymore!